There is more to being a cowboy or an outlaw than carrying a six-shooter. You need to look the part, whether you are robbing gold towns on the frontier, rustling cattle, or chasing down loathsome varmints to punish them for their unlawful ways. If you find yourself with the right tools but not the right look, check out the excellent Western clothing and Western costumes we carry here. 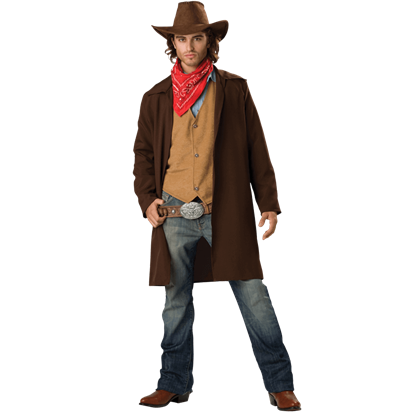 We offer Wild West outfits like cowboy costumes, outlaw costumes, sheriff costumes, and gunslinger costumes for men, as well as ladies Western attire suitable for saloon girls, cowgirls, and can can dancers. Whether you want a look for Halloween, a stage production, or another costume occasion, you can find superb Old West style here. Kick back after a hard day of work on the ranch while wearing this stylish long-sleeved shirt. 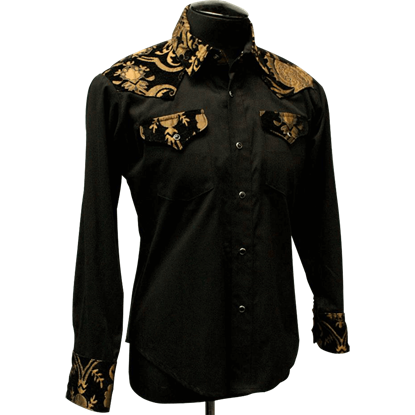 The Gothic Tapestry Cowboy Shirt features a traditional cowboy style augmented with delightful rock and roll flair. Even today, the Old West is still a wildly appealing fantasy with its dangerous yet alluring prospects. With the Rawhide Renegade Mens Costume, you can be properly dressed to face the unique challenges of the historic west. Even today, the Old West is still a wildly appealing fantasy. Cowboys, Indians, gold, and shoot-outs - it is a dangerous but alluring prospect. 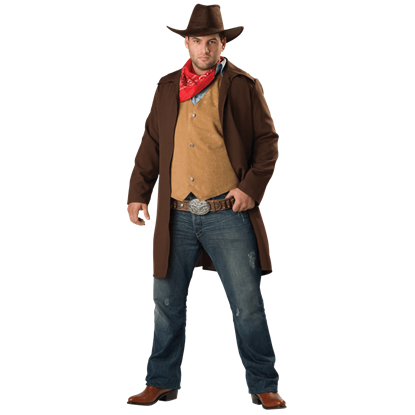 With the Rawhide Renegade Men's Costume, you will be dressed properly to face it. Add unique and mystical flair to your next fantasy LARP or medieval reenactment outfit with the Star Buckle Belt. 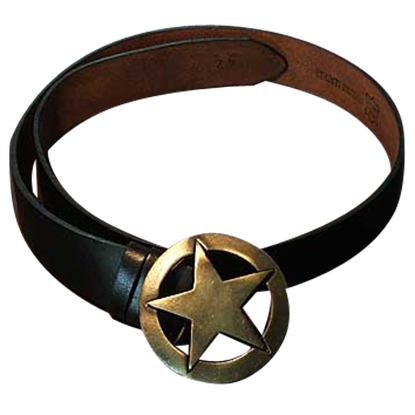 A star surrounded by a circle decorates the metallic buckle of this handcrafted belt made from natural cowhide leather. Enjoy a taste of the Wild, Wild West by wearing this colorful dress! The Womens Saloon Gal Costume offers you the chance to kick up your legs and have a good time in its hot pink corseted dress. If you are planning on going western with your costume, nothing fits in quite like this Womens Saloon Girl Costume. A touch of the wild mixed with bright color makes this costume an instant eye-catcher that no cowboy could ignore!